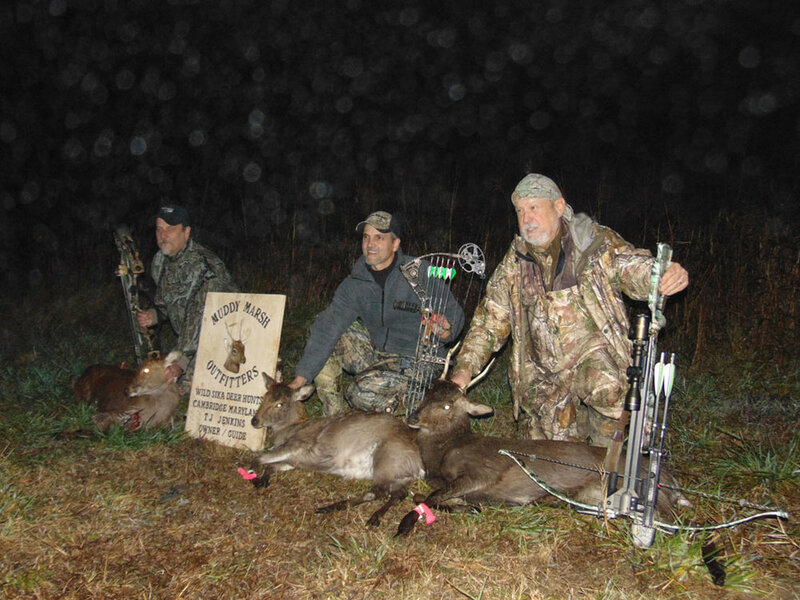 Archery only hunting for Maryland's Wild Sika Deer. 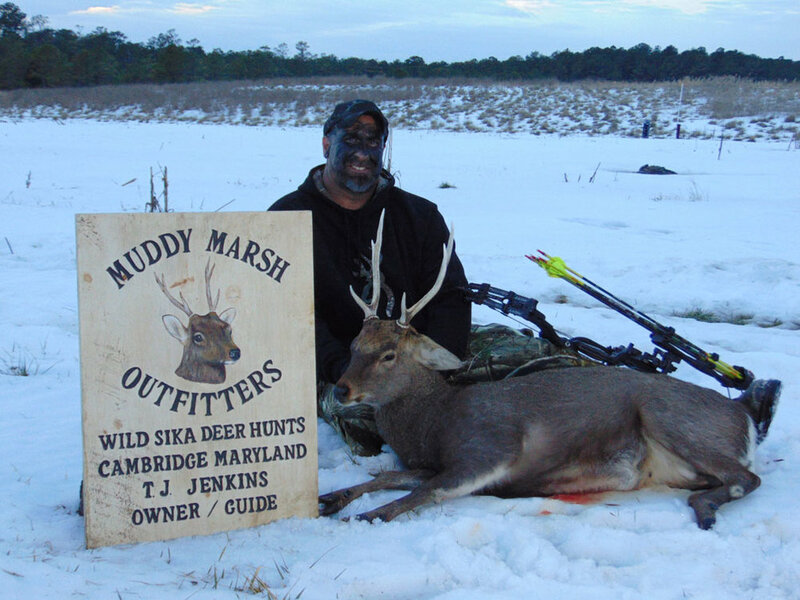 Muddy Marsh Outfitters invites you to come share a memorable outdoor experience with us on Maryland's Eastern Shore. As the sun sets on a beautiful Dorchester County pine forest, you see a slight movement in the phragmites ahead. You hear the tiny drops of water splashing and catch a glimpse of brown. Could it be a six point stag? Your heart is racing, hoping the sika will approach to within bow range. It is a passion that many hunters have shared chasing after this unique deer, exclusive to our Chesapeake Bay region. 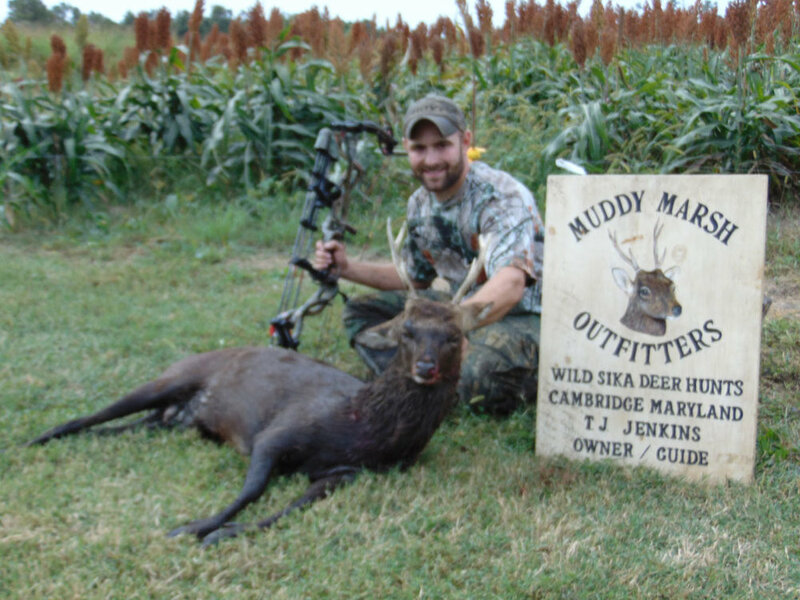 Located in Dorchester County, Maryland... Muddy Marsh offers some of the best deer hunting available east of the Mississippi. Hunting the wild Sika deer is a rewarding and fulfilling experience that one will not soon forget. 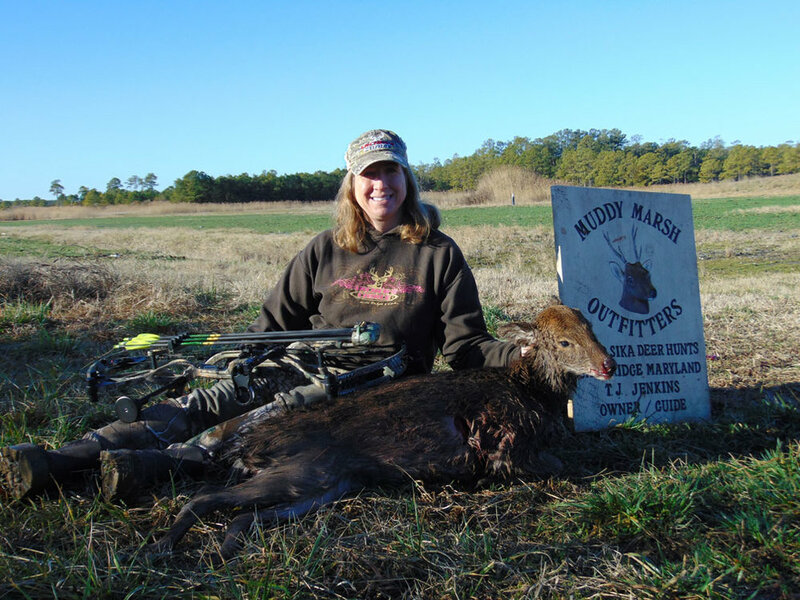 Muddy Marsh Outfitters is a group of dedicated bowhunters catering only to bowhunters. The stand sites consist of baited permanent locations as well as portable stands allowing one to move with the rutting stags. We are looking forward to hunting with you this season. CONTACT US TODAY! All about Muddy Marsh Outfitters. 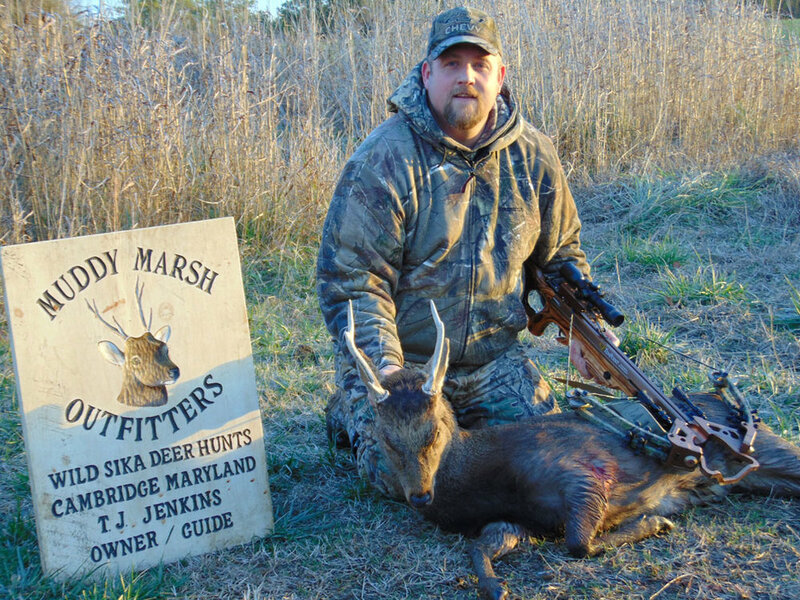 What you need to bring and details on your archery hunt for Sika Deer. We invite you to look at our gallery which features Sika Deer harvests and Trail camera photos. Rates and Accommodations for hunting with Muddy Marsh Outfitters. Do you have a question about Muddy Marsh Outfitters?